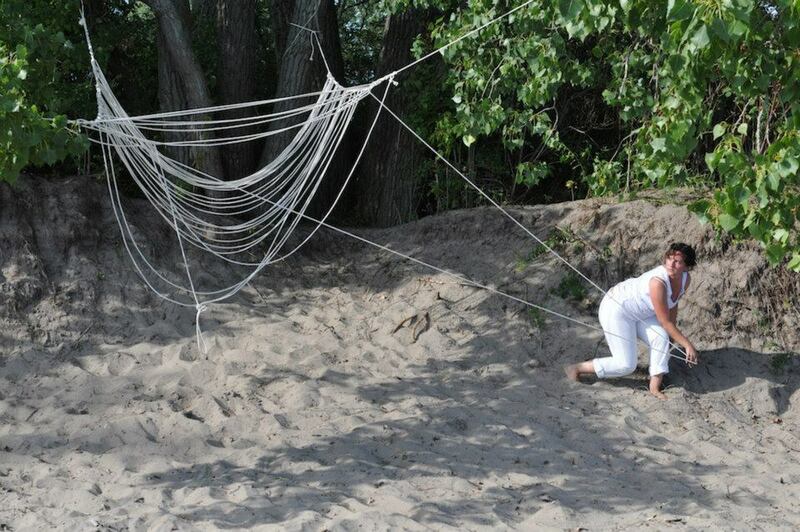 Inspired by local landscape and social entanglements, this performative ‘playground’ uses local abundant materials such as sand and rope. 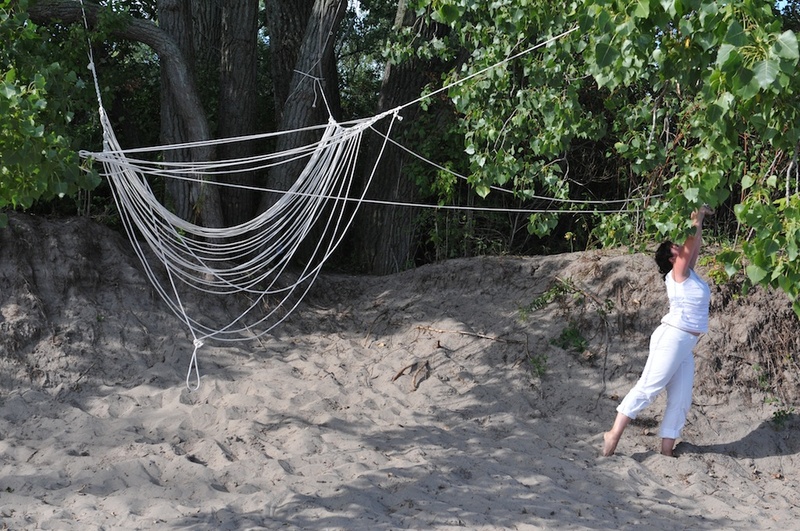 A collaboration with Johannes Zits, created while in residency at Artscape Gibraltar Point, Toronto Island. Presented with support from The Tree Museum, the Canada Council for the Arts and Ontario Arts Council.